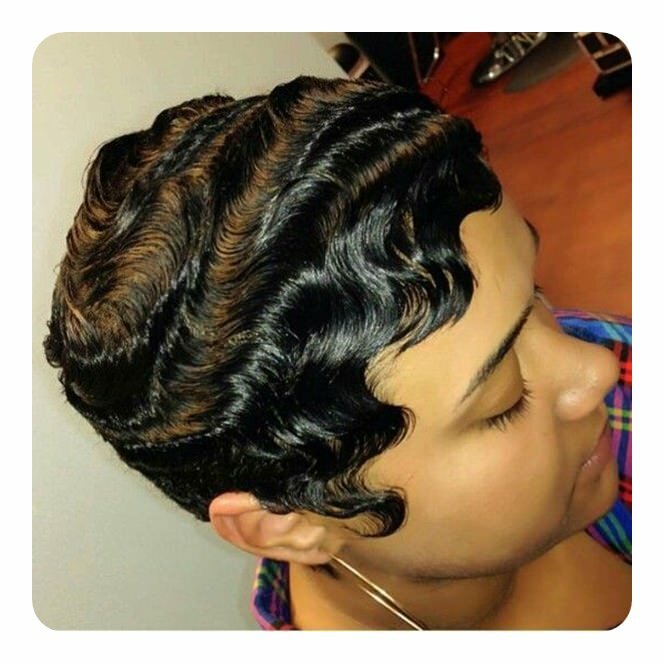 The “S” shaped wave is what is known as the finger wave style. 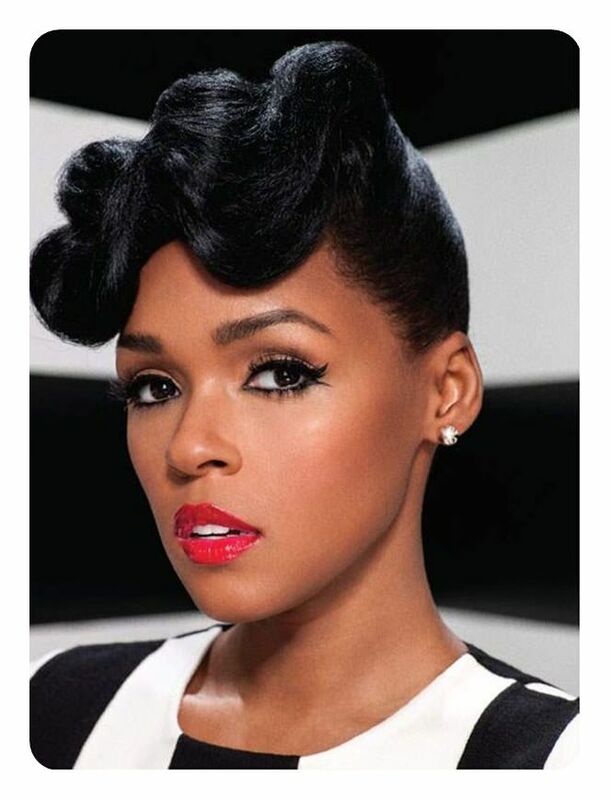 Finger waves are often worn flat on the head. 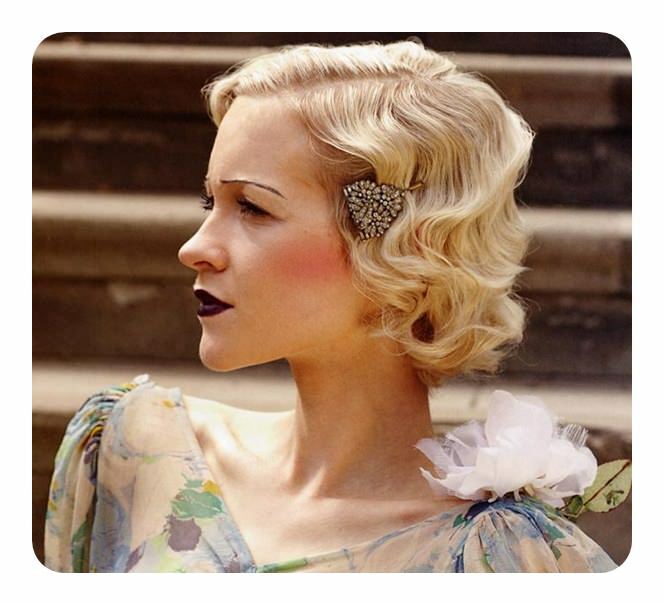 Many people remember the look from the flapper in the 20’s, but it’s really not that much of a vintage style any longer. Like many old styles, it has been updated to match the looks of today. Though some people do still choose to wear the old school style if they are going to a fancy event. It’s like reliving The Great Gatsby for the night. 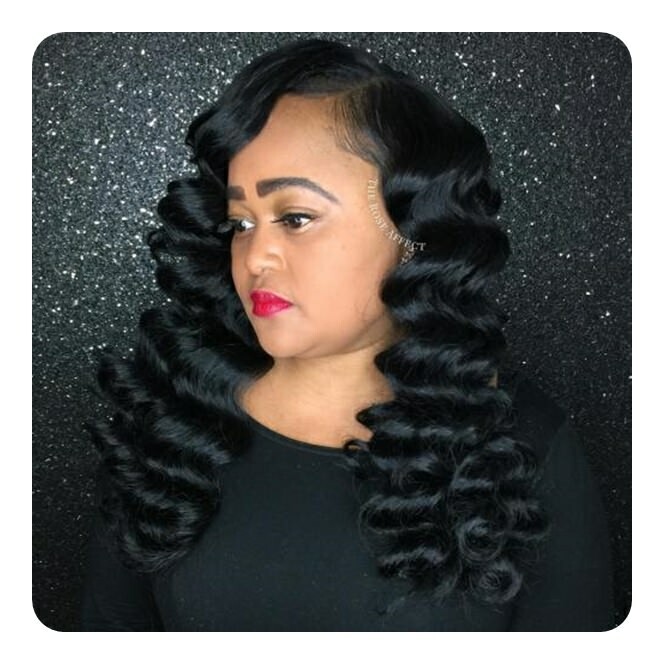 You can create finger waves for both long and short hair. 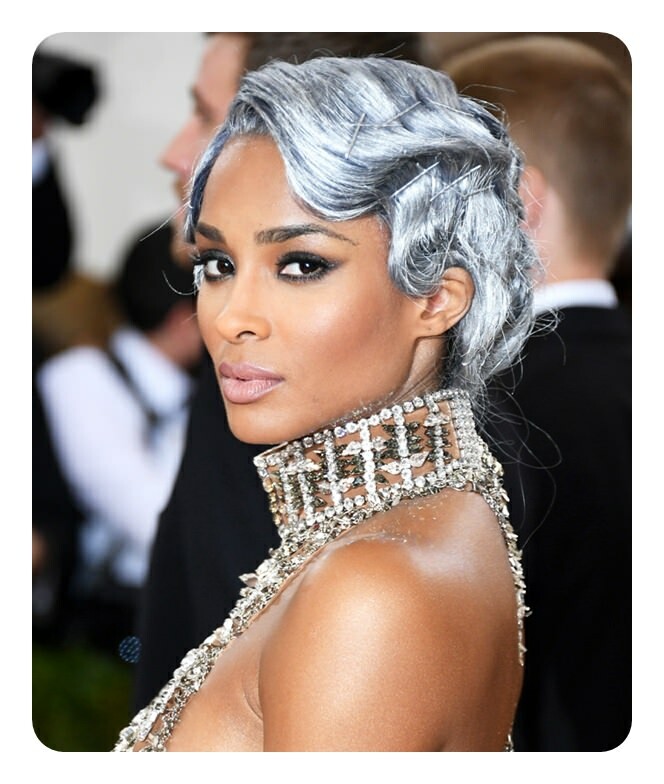 We’ve even seen finger waves on the red carpet recently and that shows you that they are growing in popularity. 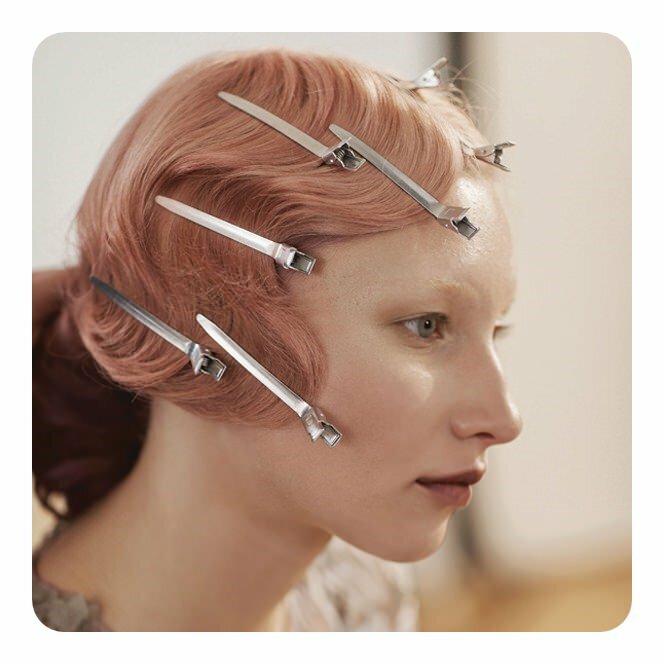 Stella McCartney, Marc Jacobs, Gucci and many other designers have styled their models with finger waves. 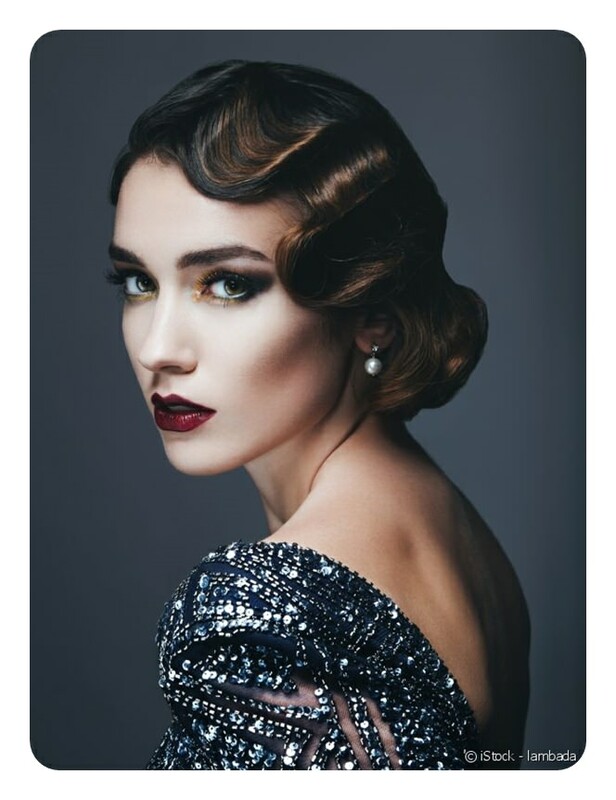 These days, we usually don’t style finger waves all over the head though you certainly can if you want to. 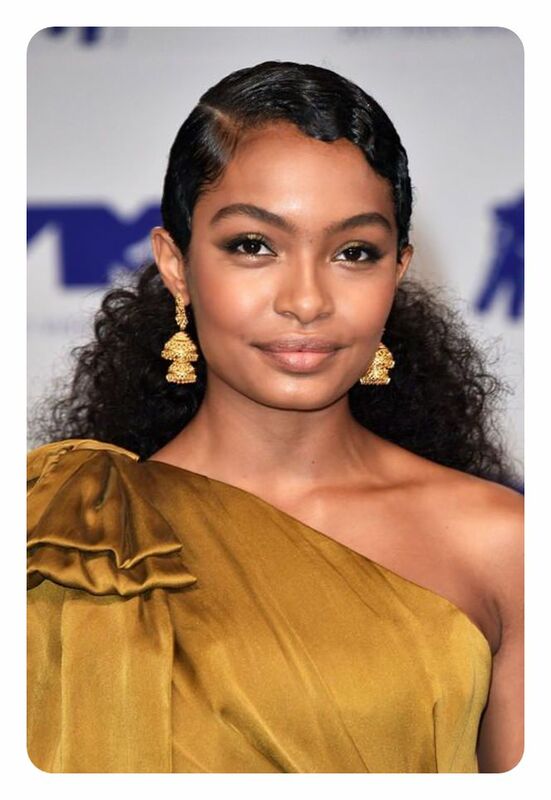 The more modern way of styling it is to just have waves along the hairline. You can also give yourself a new vibe or an edgier look by changing your look with modern colors. Neon colors or pastels are a great combination. If you are considering the style for your next event, we would suggest that you go to a salon. 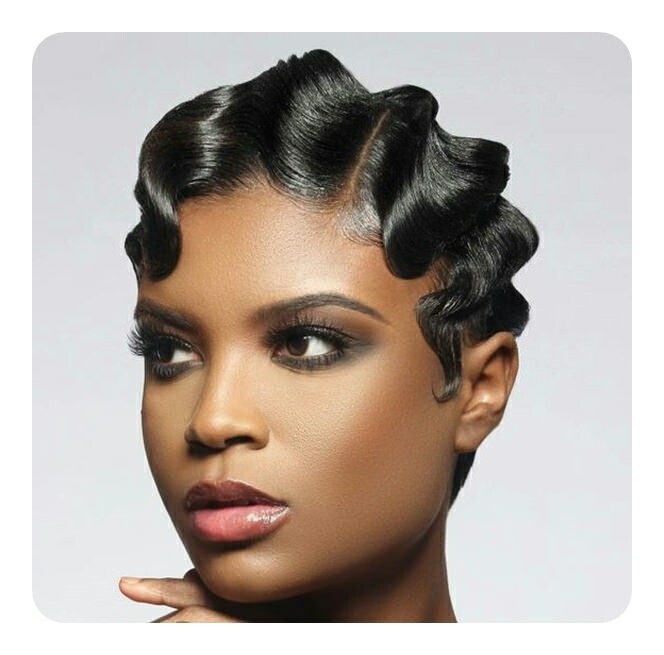 Finger waves are not easy to do and they often take a lot of practice before you get the hang of it. A long style that is truly remarkable. You would look like a vision in this style. If you want that retro style, then you are sure to love this one. 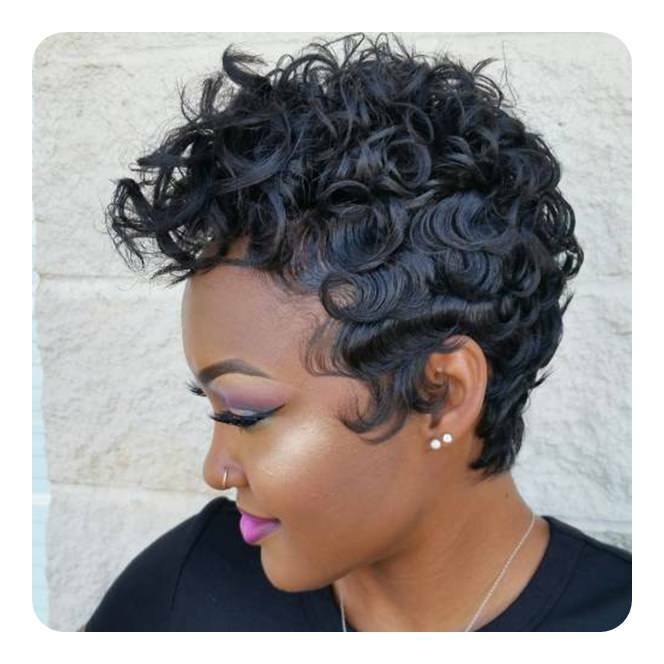 A great style that is fashionable and elegant for short hair. 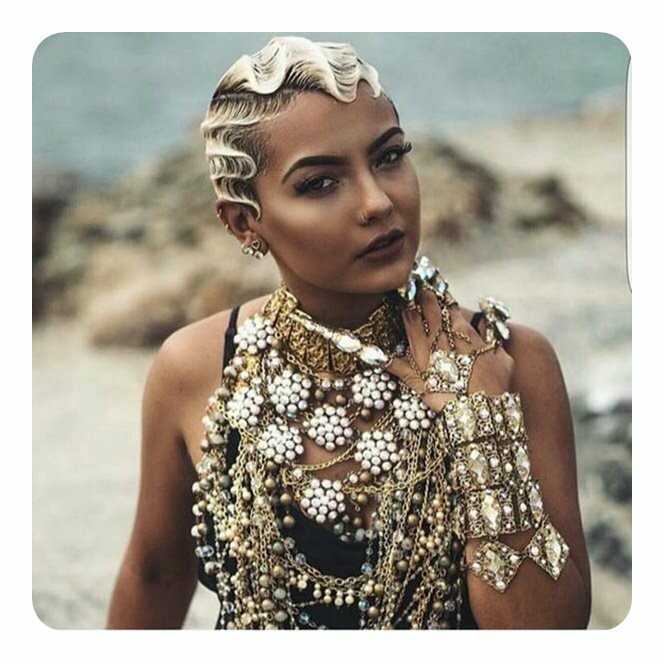 If you have an event coming up, then you are sure to love this style. 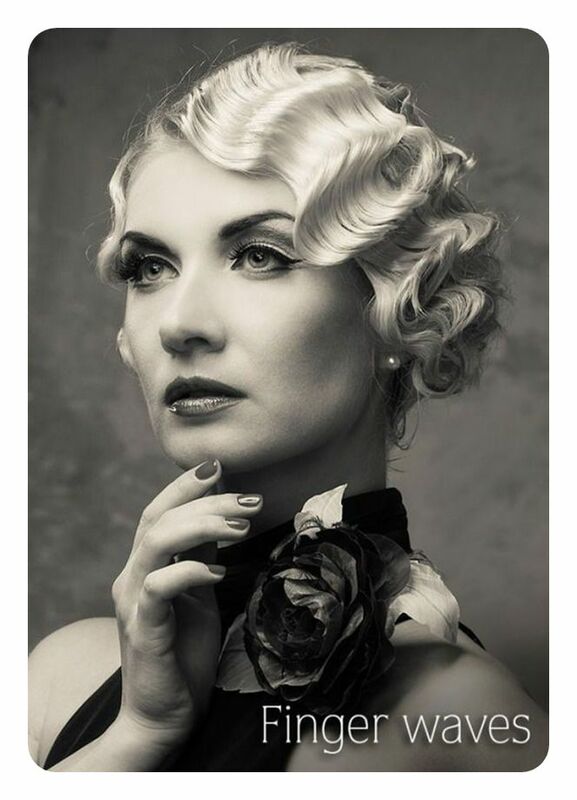 The great thing about finger waves is that they provide you with a classy style that will turn heads wherever you go. 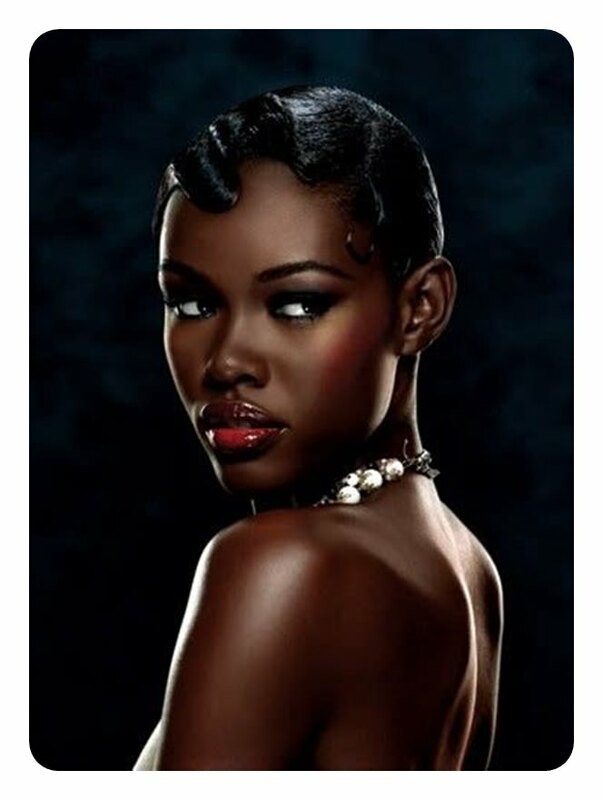 Tyra Banks has a full head of finger waves and she looks so glamorous with them. 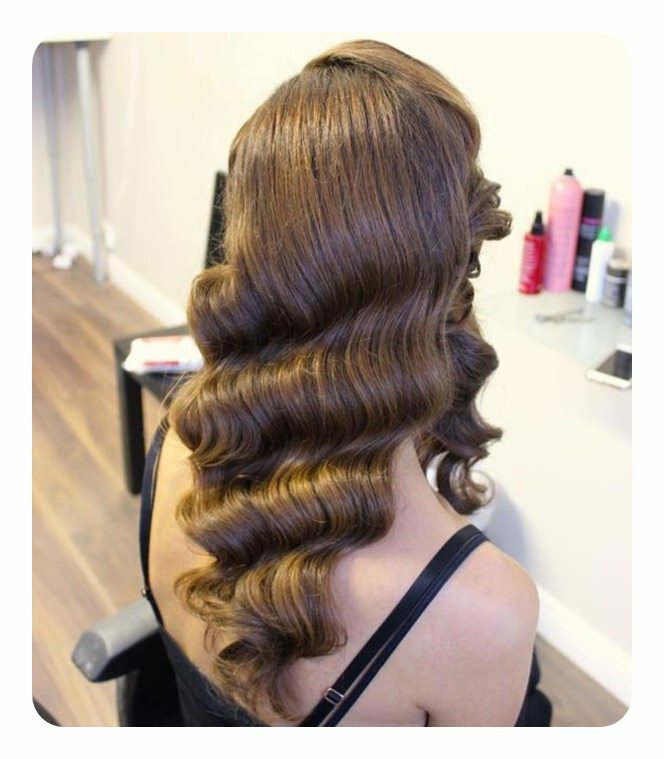 A great style that looks like regular waves. This is a classy style that is sure to steal the show. A great style that shows off the vintage appeal of another time. She completely rocked the night with this style and we have never seen a color more beautiful. 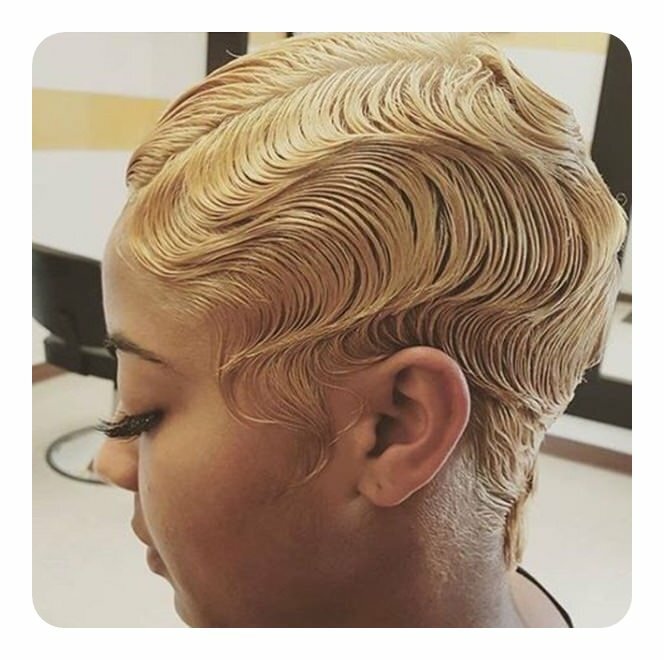 This finger waves style is a little curlier than most. 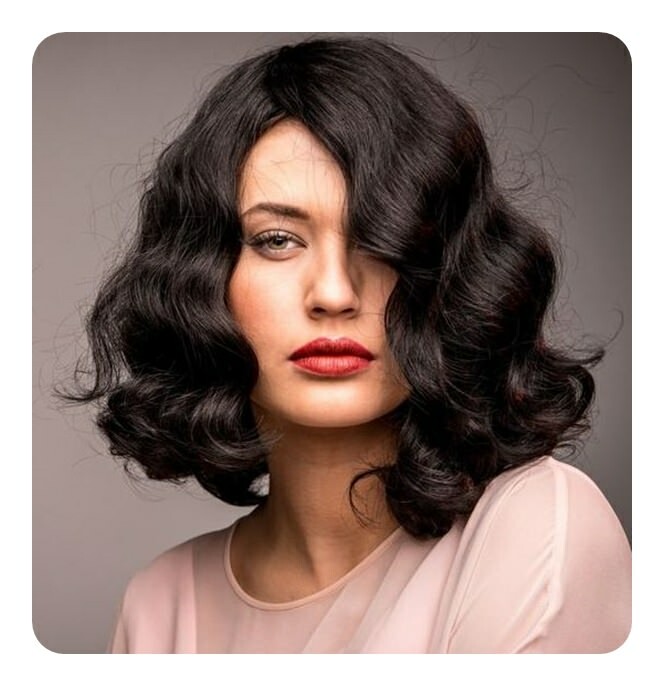 If you are a fan of the bob, then try out this glamorous style for your next event. This is definitely a much looser wave but still classy nonetheless. If you want a look that will turn heads then try this one out. 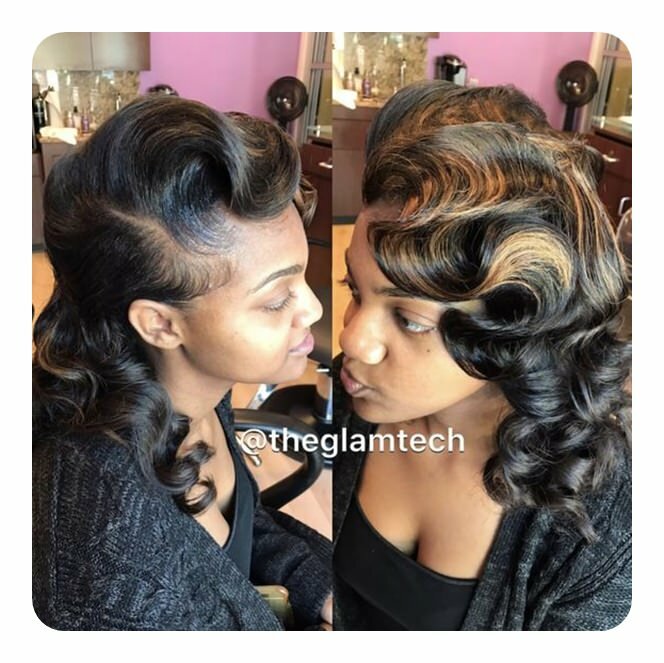 When finger waves are done properly, they are uniform and basically perfect. Try a new shade with your glamorous style and your look will steal the show. 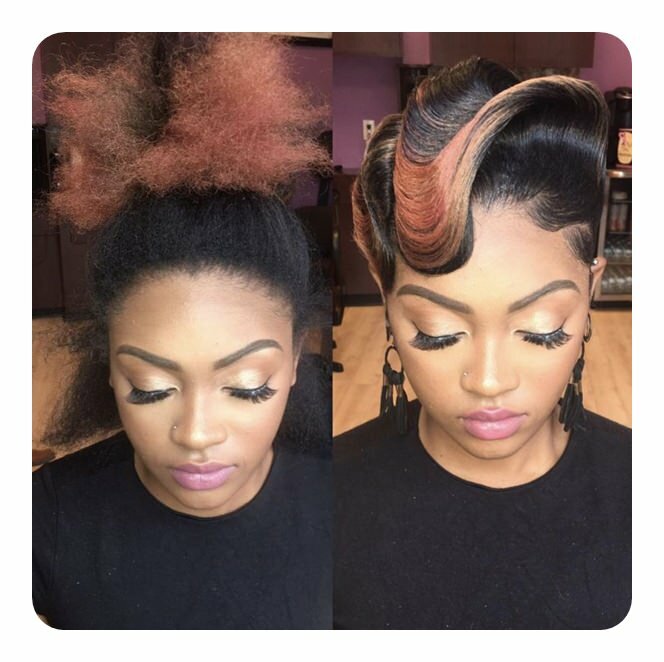 These styles are perfect for hair that has a thick texture to it. This is a polished style with loads of shine. It’s truly slick so make sure you have an event that matches the style. This look is really wild. 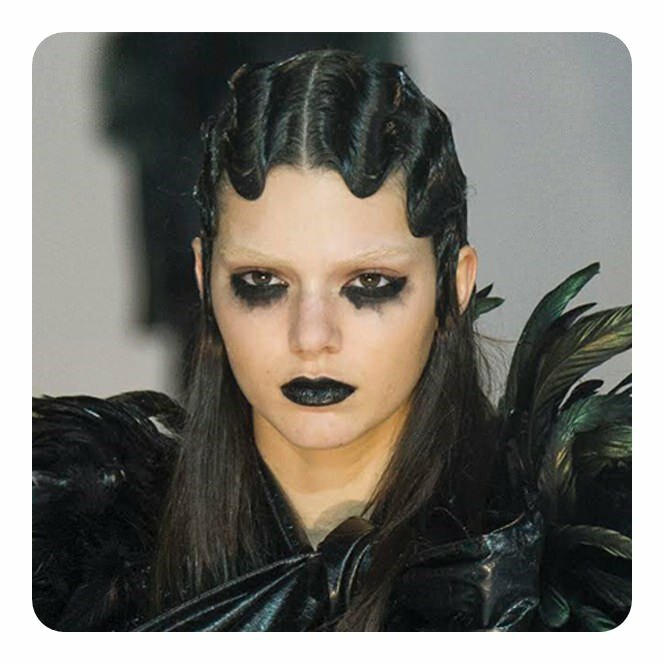 If you want something edgy, then this is the look for you. 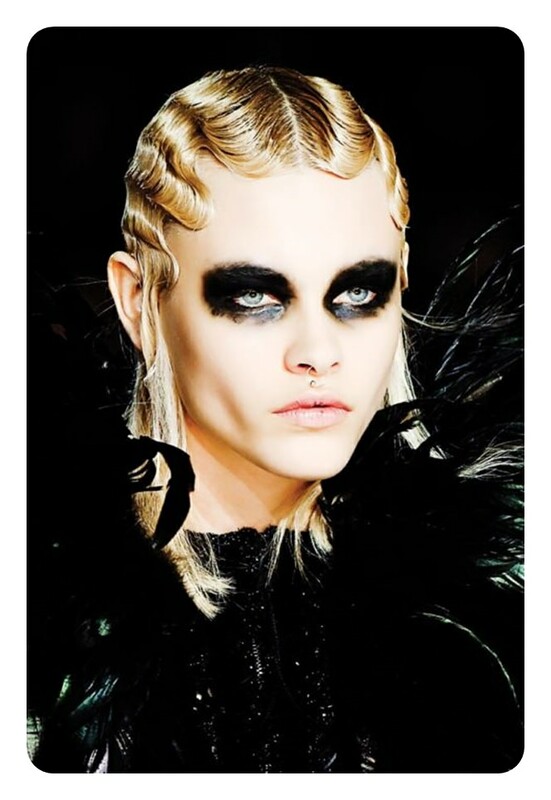 A great style that is unique, these are the looks that have been on the runway lately. This is why it’s a good idea to visit a salon for the style. 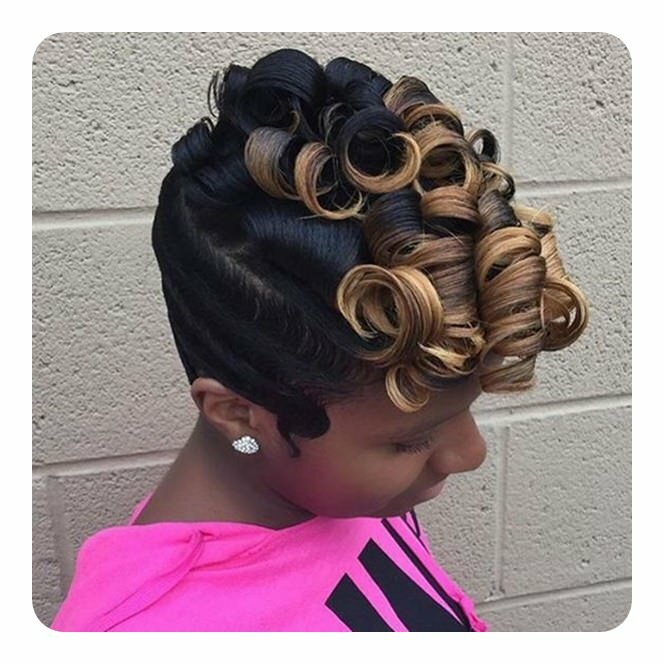 The finger waves have to be set for a period of time in order for them to stay in style. 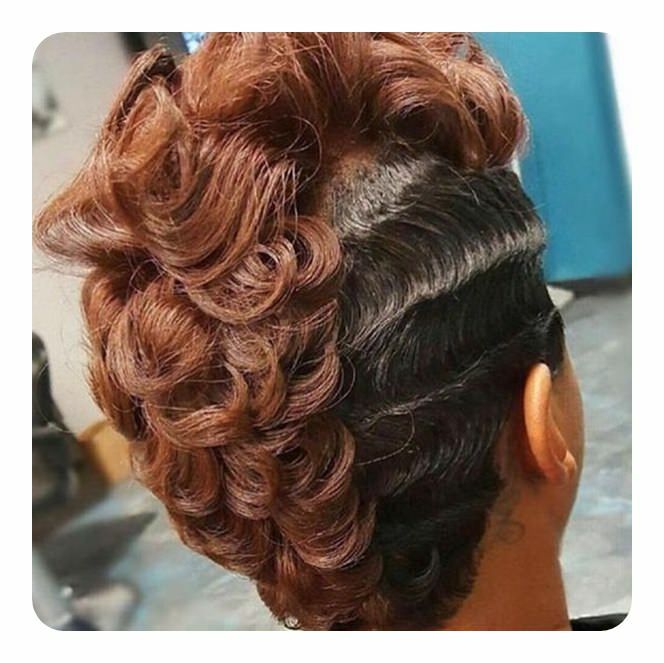 Just a few waves are all you need for a simple style like this one. The great part about coloring short hair is that it doesn’t take long to grow out if you want a change. You won’t find another style that will make you feel more amazing than this one. You can see that even the longer styles will require you to wait until they are set as well. This girl is getting ready for her red carpet moment. 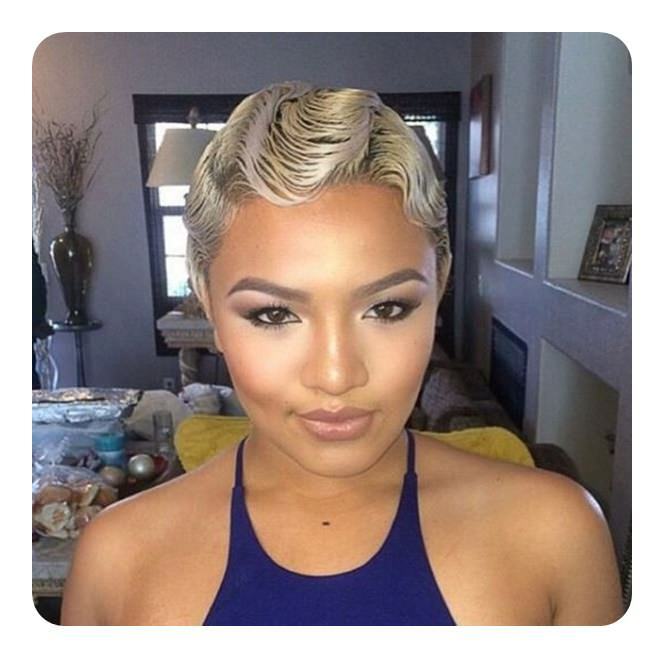 Blonde really do know how to have more fun and you will agree when you try this style out. 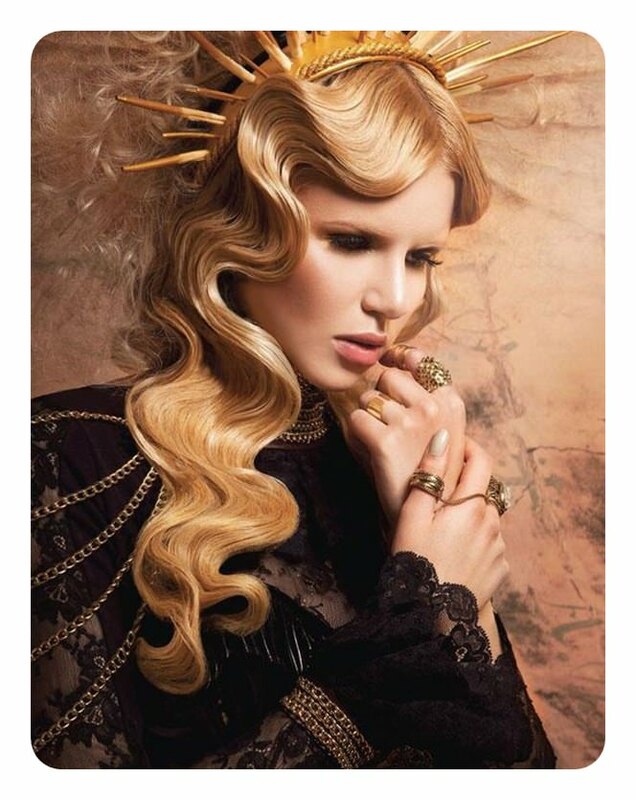 Just check out the magic you can create with this style. It’s truly one of a kind. 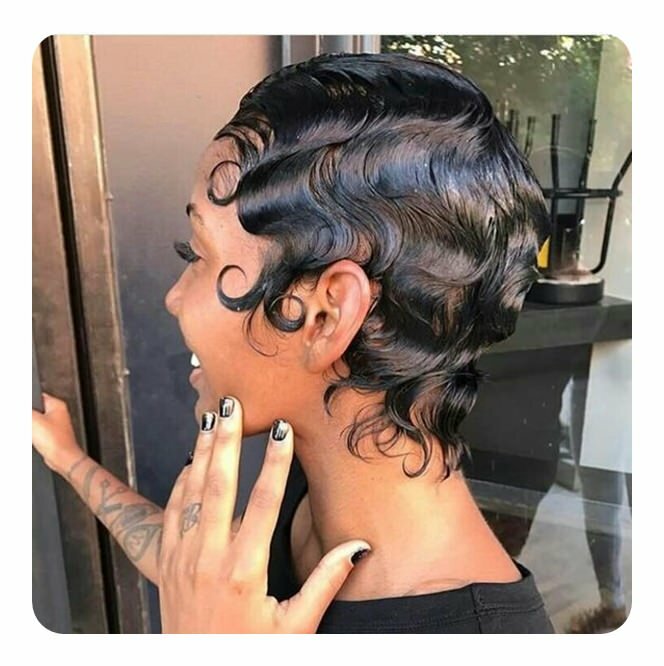 This curly mohawk looks amazing with some finger waves on the side. 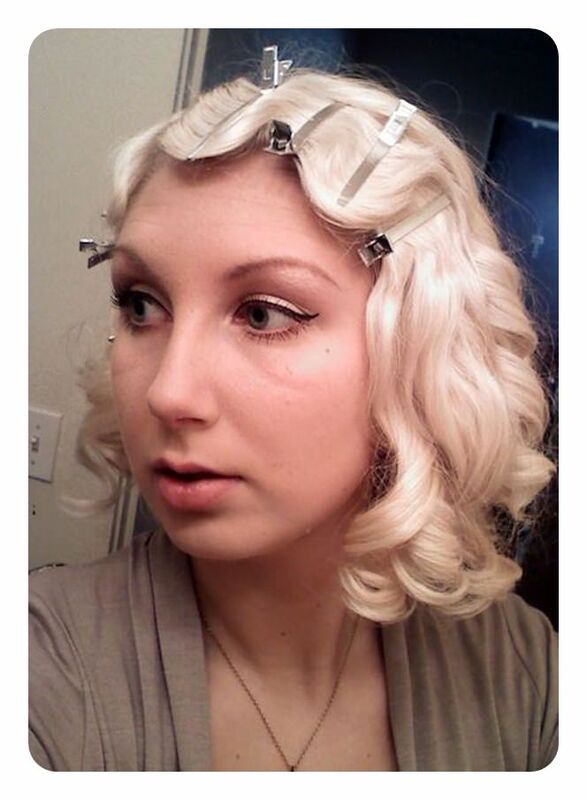 These days you can create the finger waves style with a straight iron. Practice makes perfect though so try it out a few days ahead of your event. We love the detailed elements along the hemline. It’s the little touches that matter. If you want a shiny look like this one you are going to need some serious product. 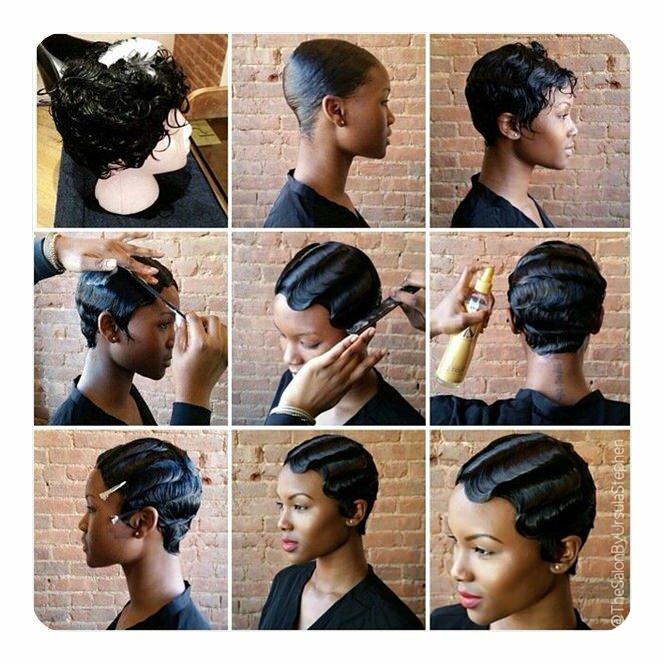 These nine steps show the old school way of doing finger waves. As you can see it can be hard to do a style like this on your own. Unless you can learn how to do it with a straight iron. 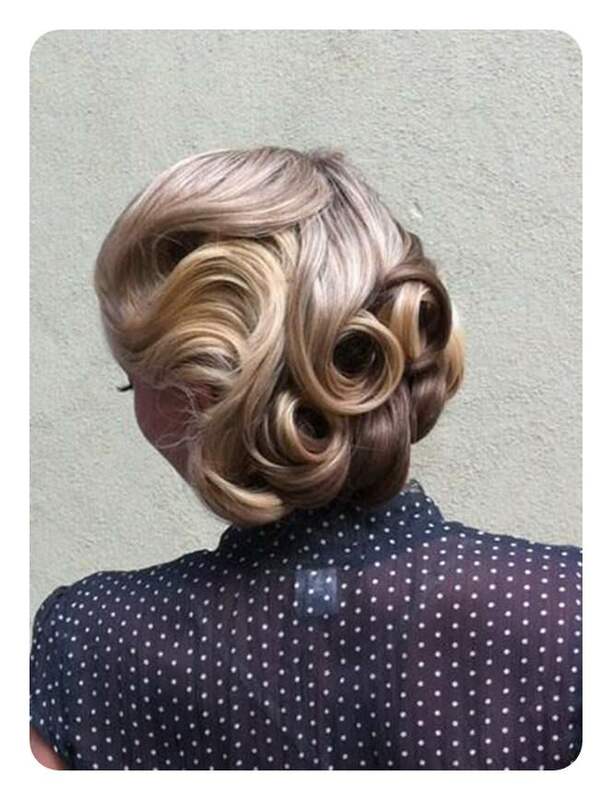 This style is going to make you feel like you are from Old Hollywood. 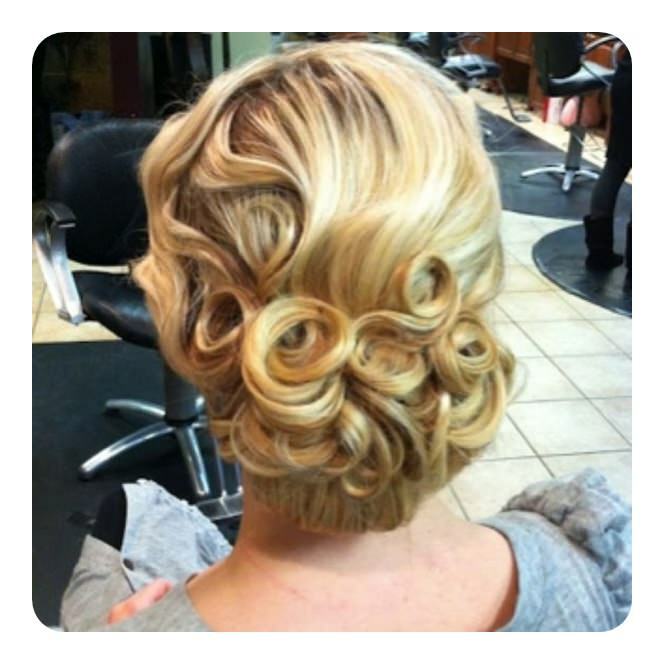 Another example of a long style that will have heads turning all night long. This stunning blonde is sure to steal the show wherever she goes. 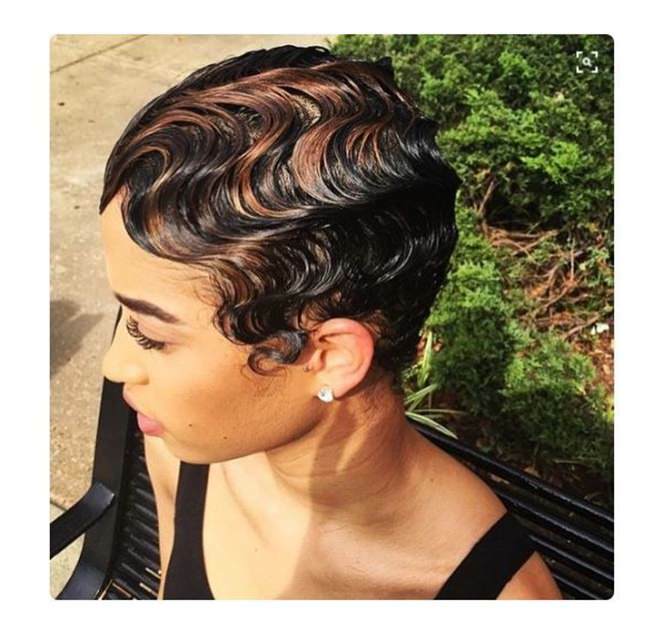 Finger waves come in all shapes and sizes. If you want a look that will have people talking, then this is the one for you. These waves are perfectly aligned and we love it. 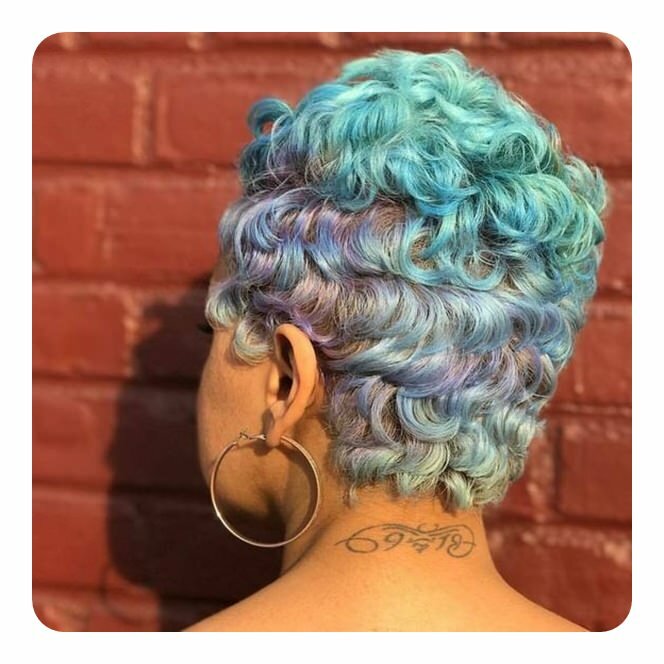 A curly style that has some amazing pastel colors throughout. Imagine having this look at your next event. People will assume a celebrity showed up. 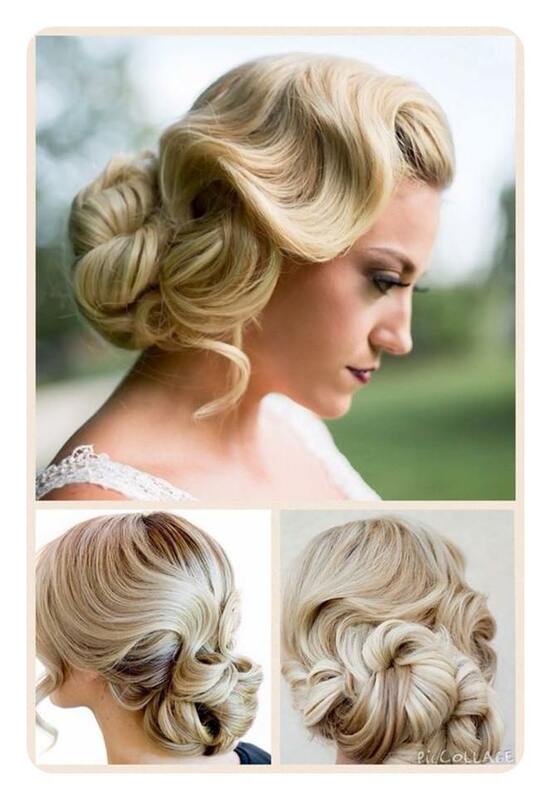 If you are looking for a vintage look for your wedding, then you must try this elegant style out. 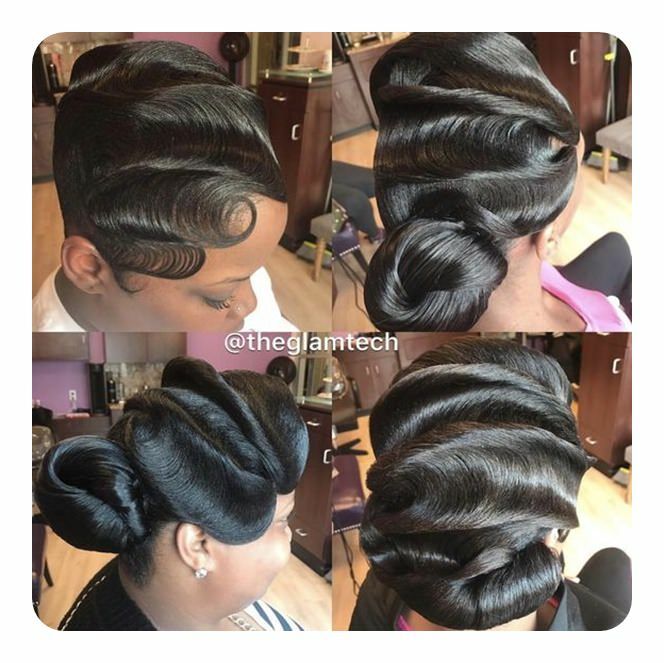 It’s not all finger waves, but the waves are incorporated into the updo. 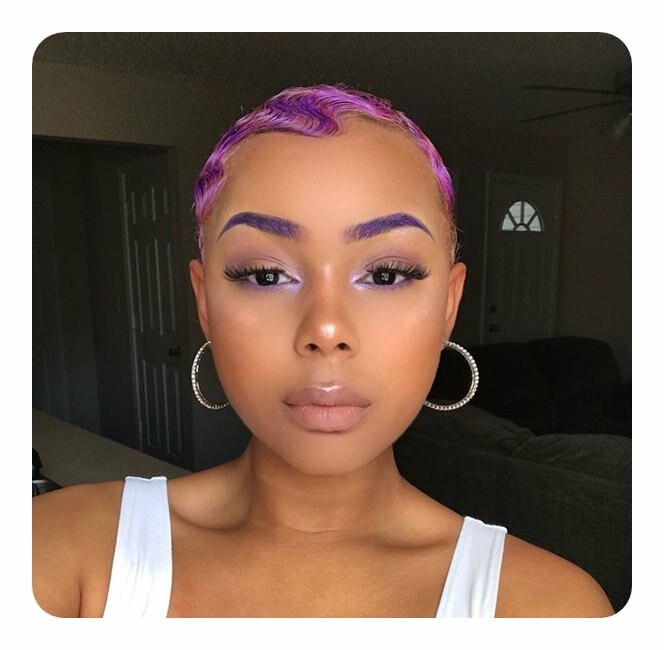 These gorgeous styles are truly unique. The light blonde here really makes her dark skin stand out. You really can’t go wrong with a classic style like this one. 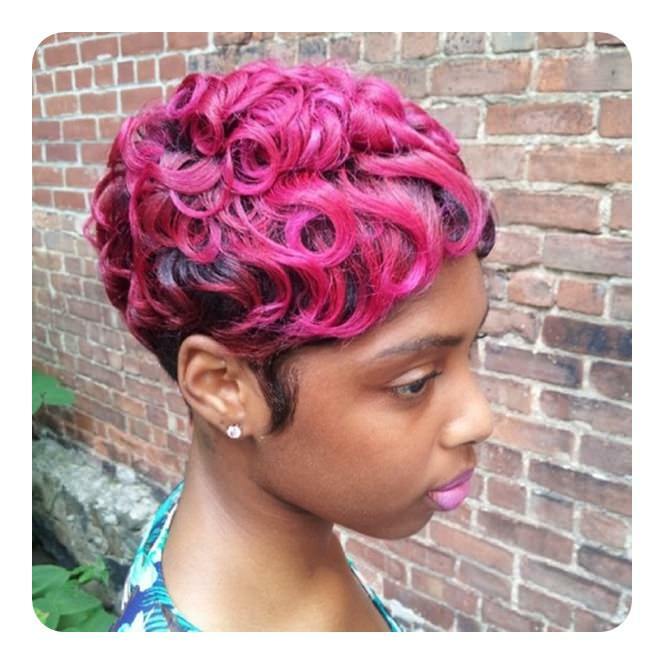 This is a style that you won’t soon forget and we have to say it’s breathtaking. 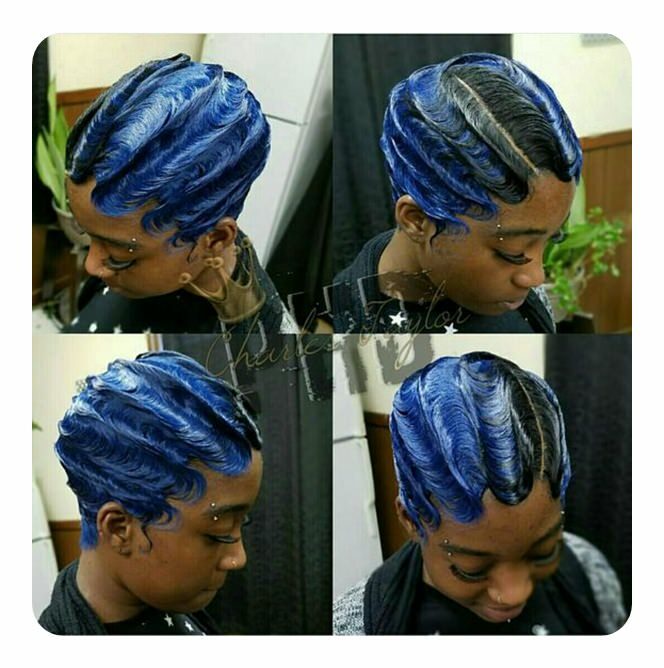 A great style that has a wow factor because of the blue. A great style that you are sure to love. 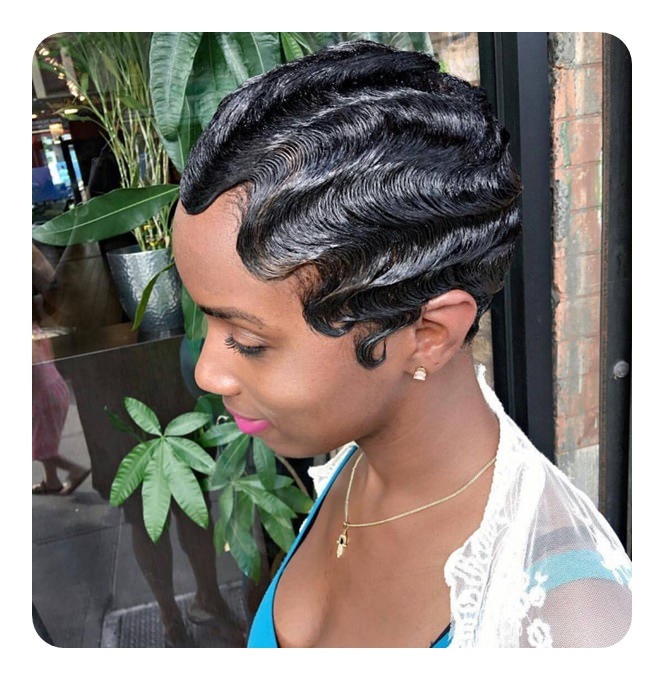 Mohawks never seem to go out of style so try this one out with the finger waves. 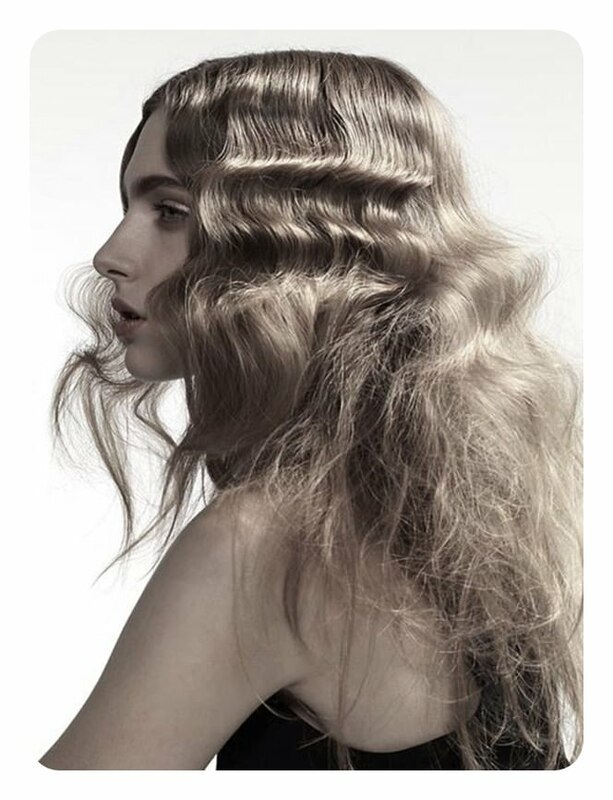 This is quite the style with bold, mountainous waves. 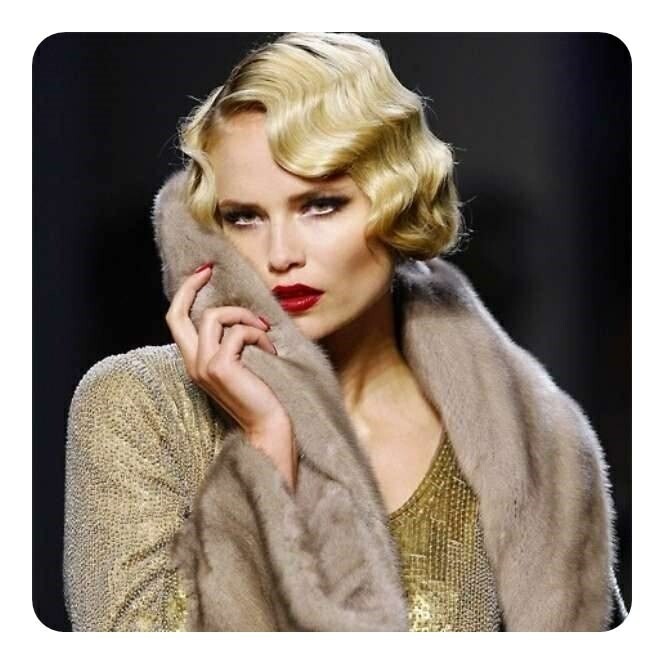 If you want to see what it was like dressing for a night out in the 20’s, then give this look a try. 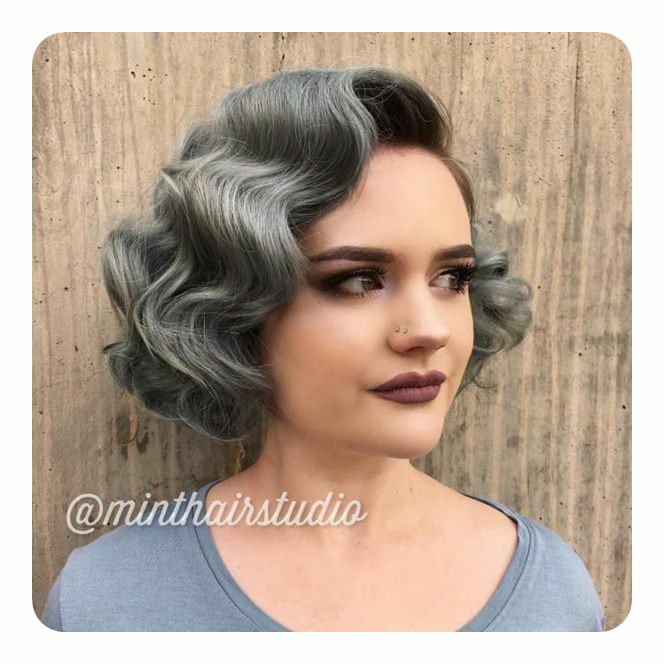 Grey is a popular hairstyle these days and it looks great with the waves. 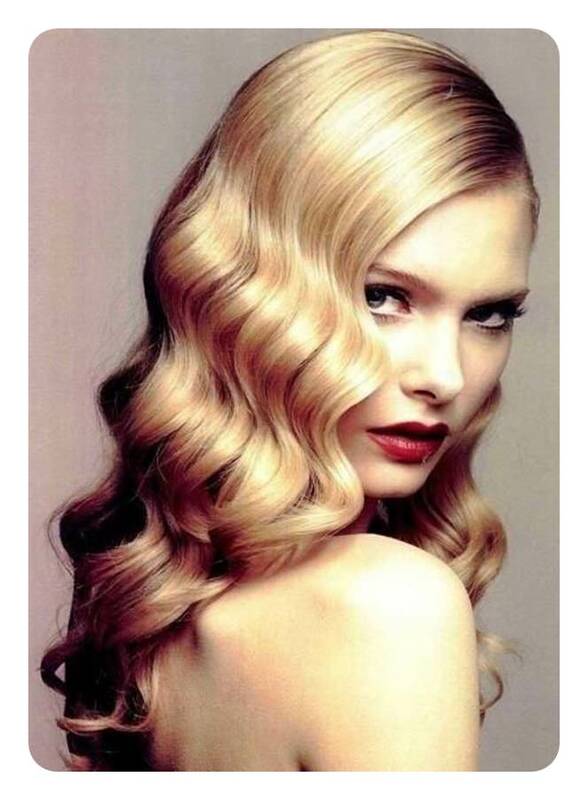 A great style that has some serious waves. We can’t get enough of the glamour. 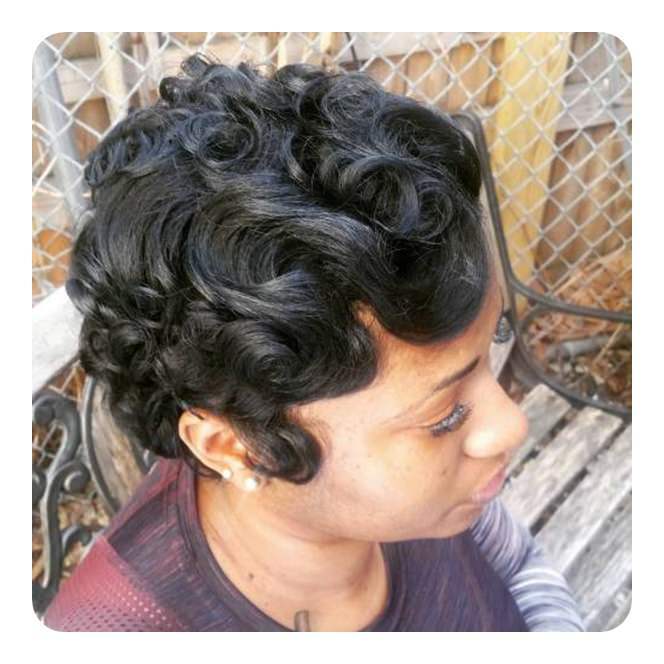 Short styles are great for finger waves. The waves here are very loose and simple. If you have a big event coming up, you can’t go wrong with a style like this. 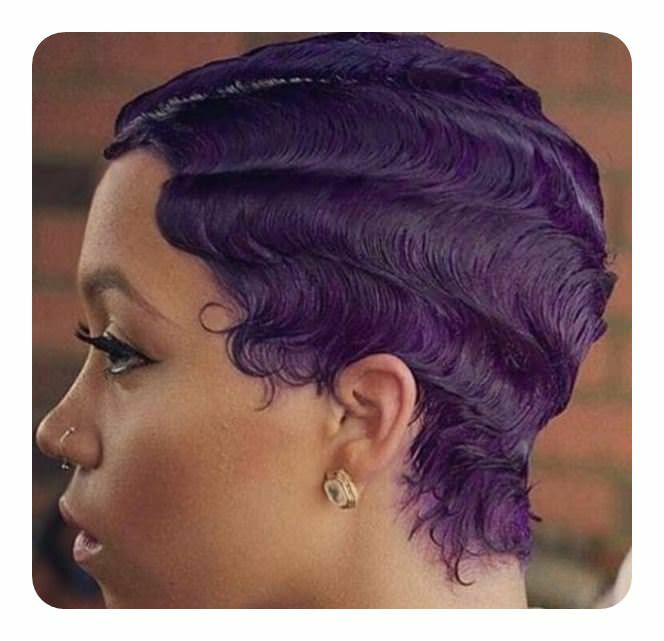 We love this style because of the tight, curly mohawk. 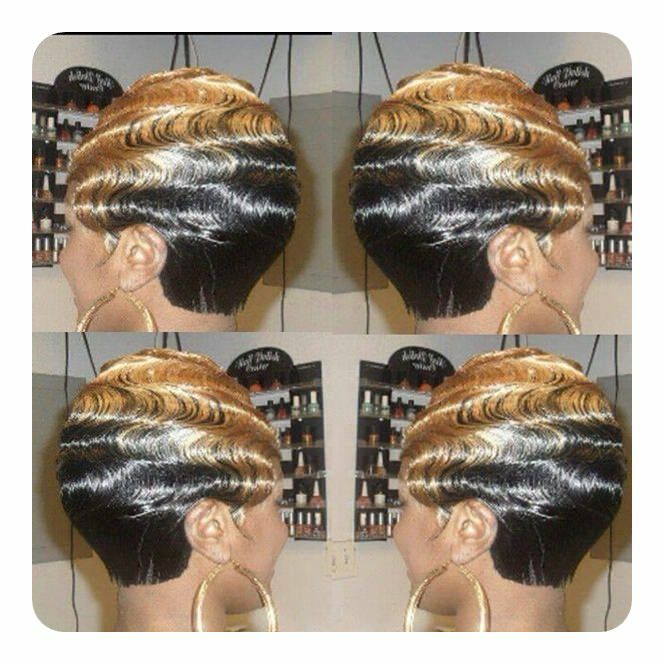 This style is very modern and it only has the one big wave in the front. 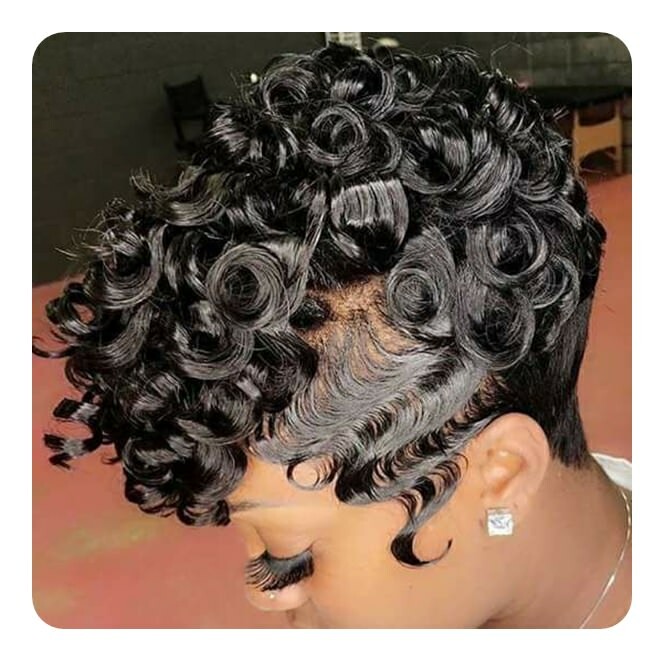 These styles are amazing because of the bold curls. 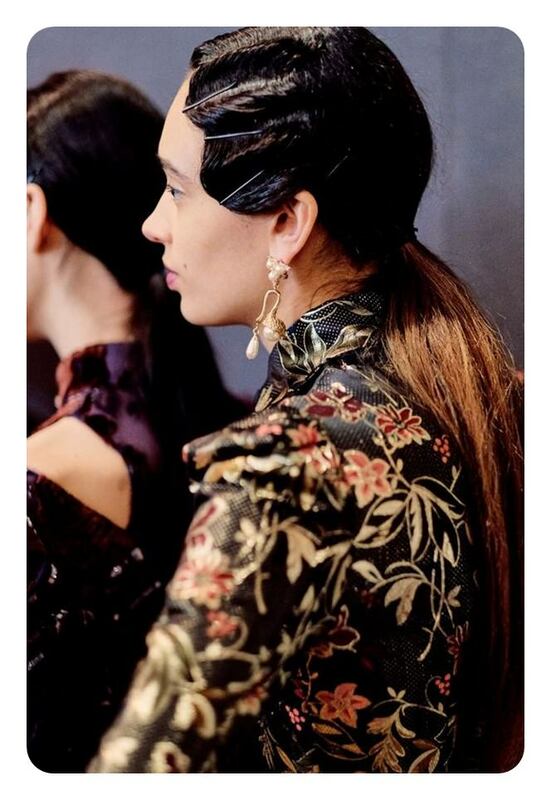 We can see the models getting their finger waves ready for the show. 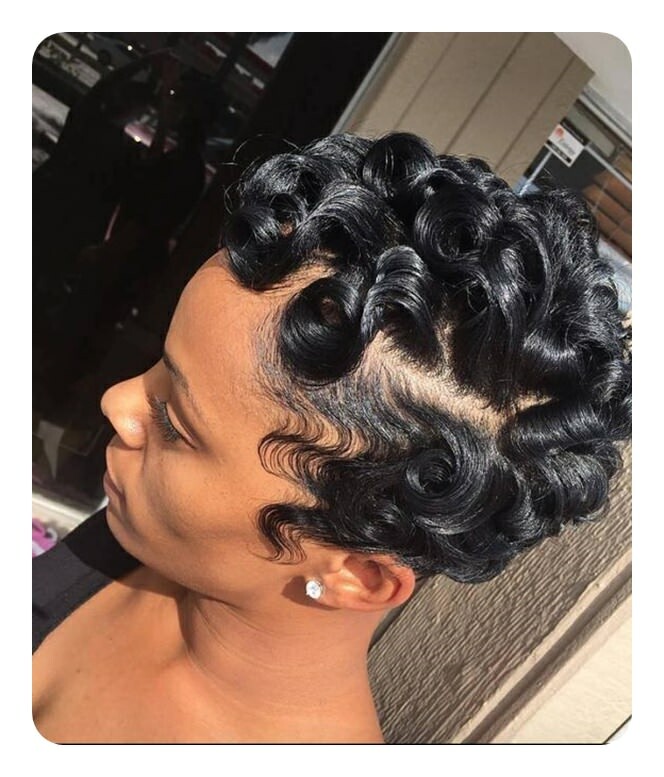 Even messy styles can have finger waves. If you have long hair, these styles would be perfect for prom. A bold and bright color is all you need for a new look. 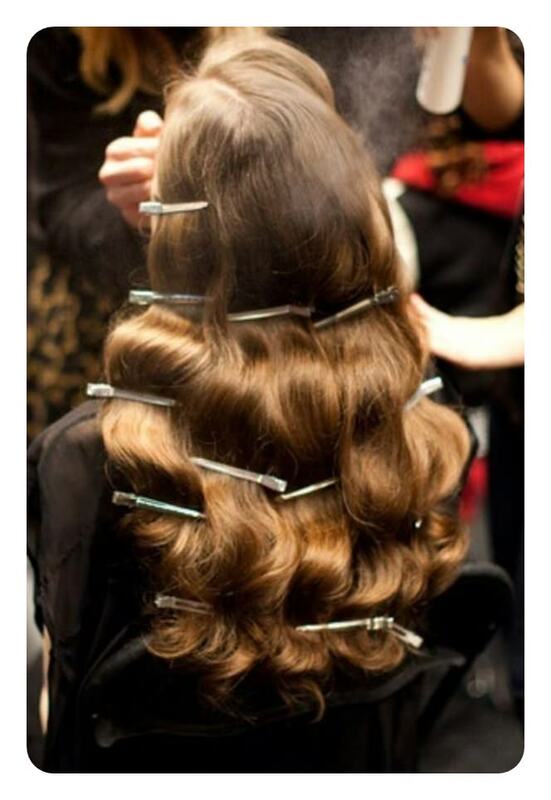 These waves can be implemented into any updo of your choice. 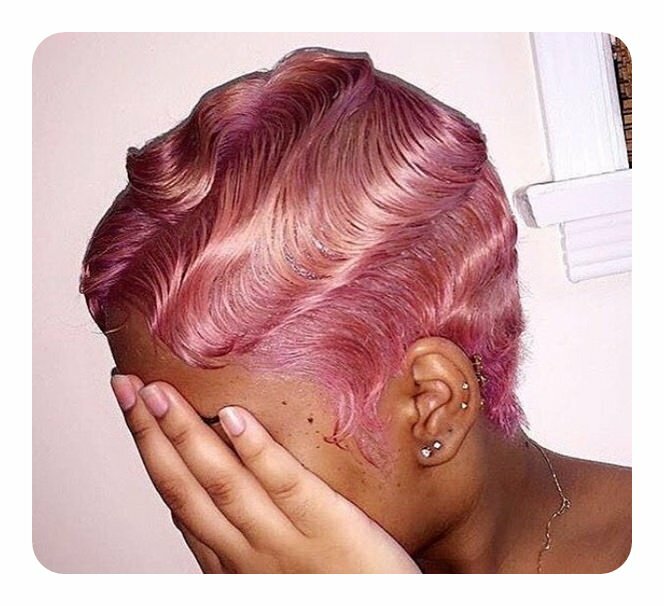 The waves in this style are very subtle. These bright colors would be cool for the summer. 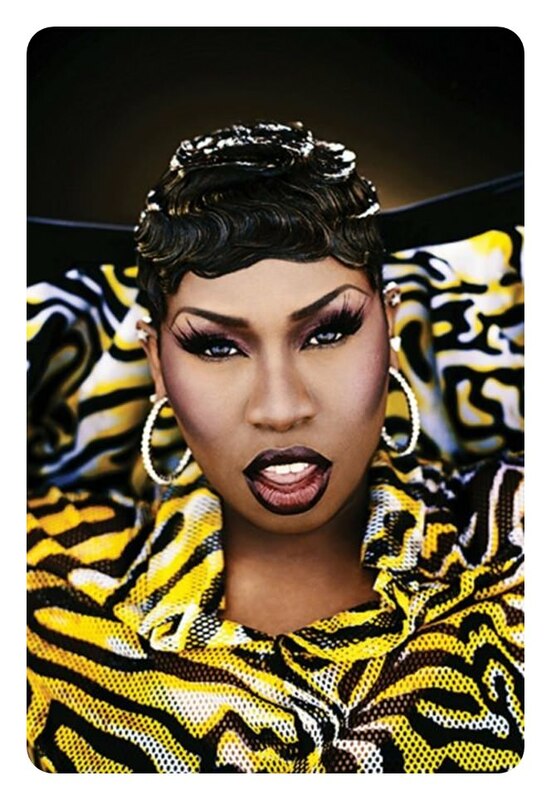 The finger waves are just part of the style here. If you are a blonde, you will feel like a star with this style. The color change is drastic with this one. 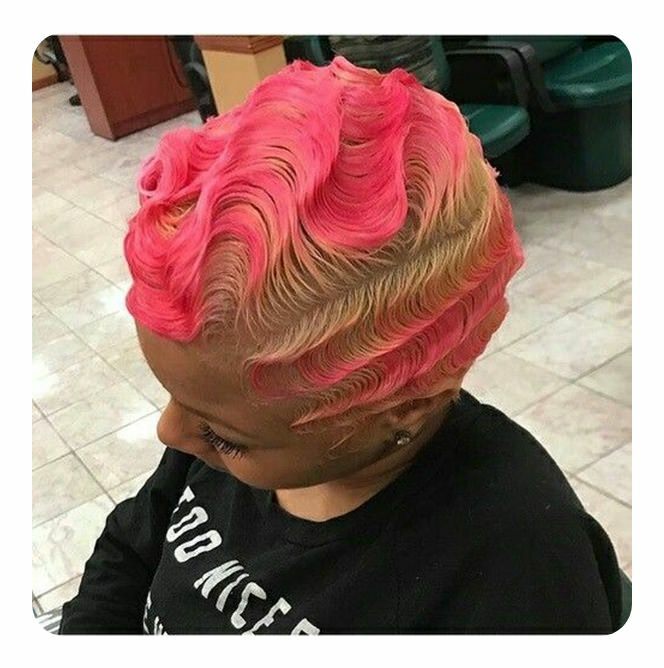 The waves in this style are perfectly positioned. Her hair is quite short in this photo and the waves are laying flat. We can see the process here as they create waves with a flat iron. 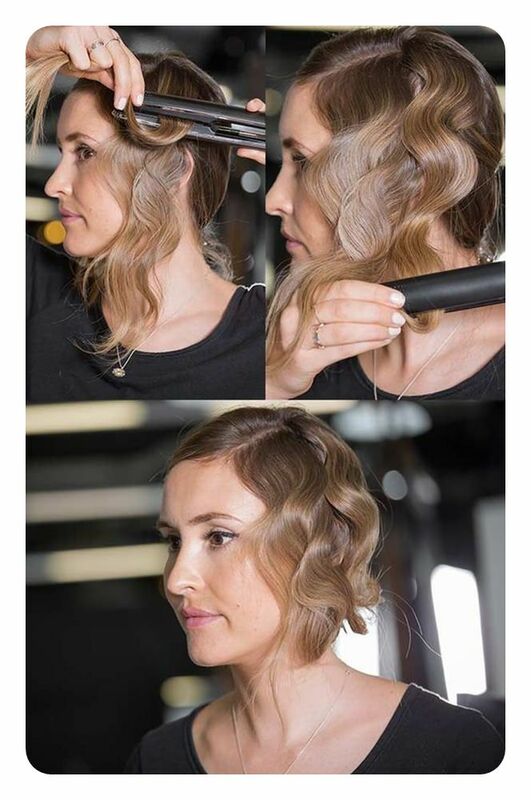 A style that is going to make you feel glamorous at your next event. If it’s a fancy event, this would be perfect. A great spring and summer color is here for you, pastels are always a great choice. Pink is a great color choice no matter what. This is one of the more casual looks we’ve seen.